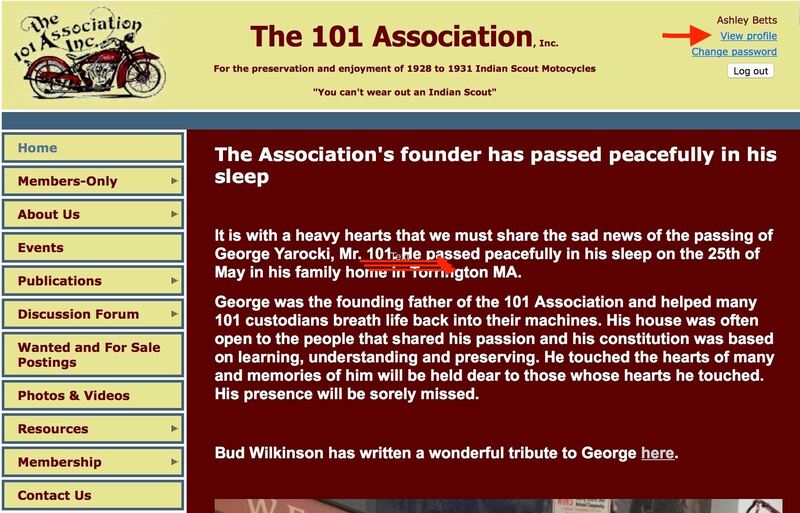 First you must log into The 101 Association website. Once you're logged in you will see the 'View profile' link in the top right corner of the screen. Click on this link. 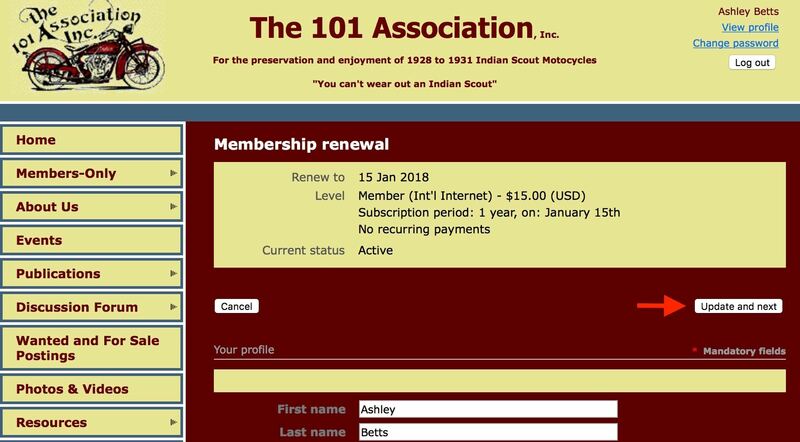 On the profile page you will see the renew membership button. Click on this. You will be presented with a screen that will allow you to update your profile details. If nothing has changed just click on the 'Update and next' button. The next screen is just confirming what you are about to do. If you are going to pay by Cheque please not the address to send the cheques to on this screen before progressing. Only use the 'Invoice me' button if you intend to pay by Cheque. It will provide you with an Invoice that you can print if you like. 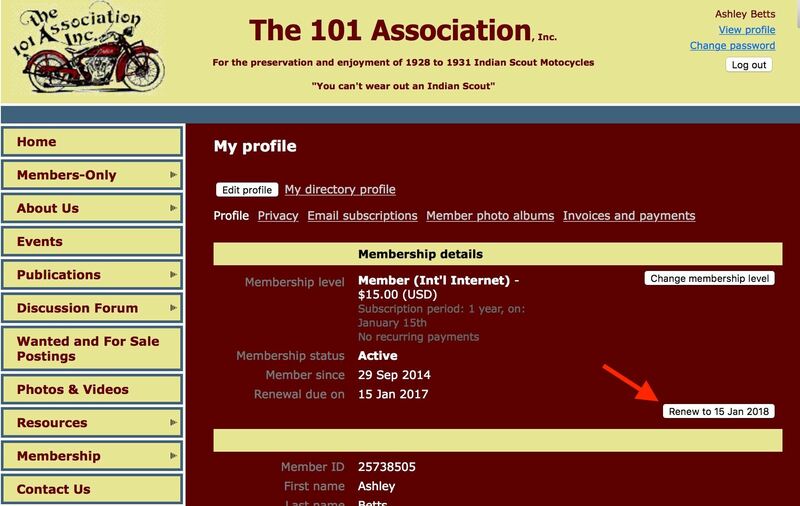 If you intend on paying by either Paypal or Credit/Debit card you must use the 'Pay online' button. 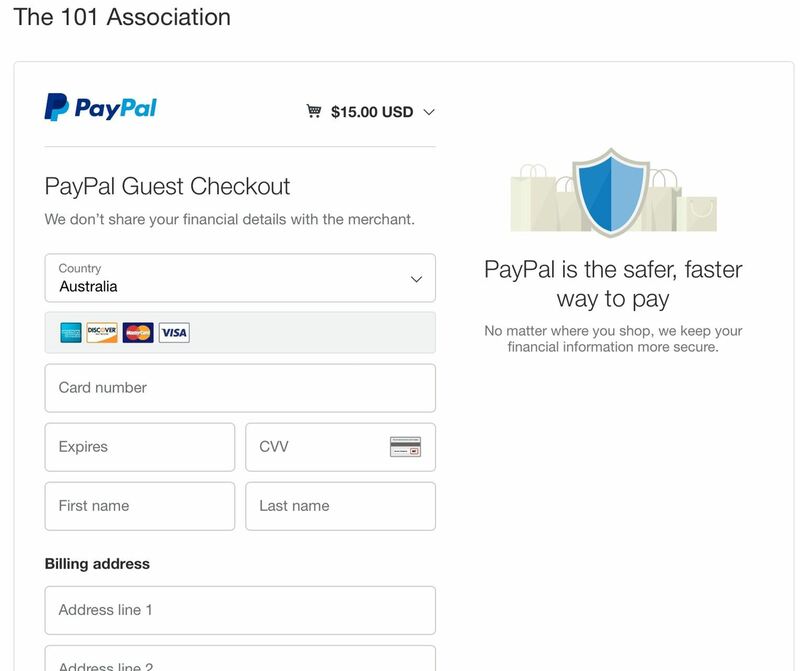 Assuming you clicked the 'Pay online' button you will be taken to the Paypal site to process your online payment. If you already have a Paypal account you can log in and process the payment as per any other Paypal payment. 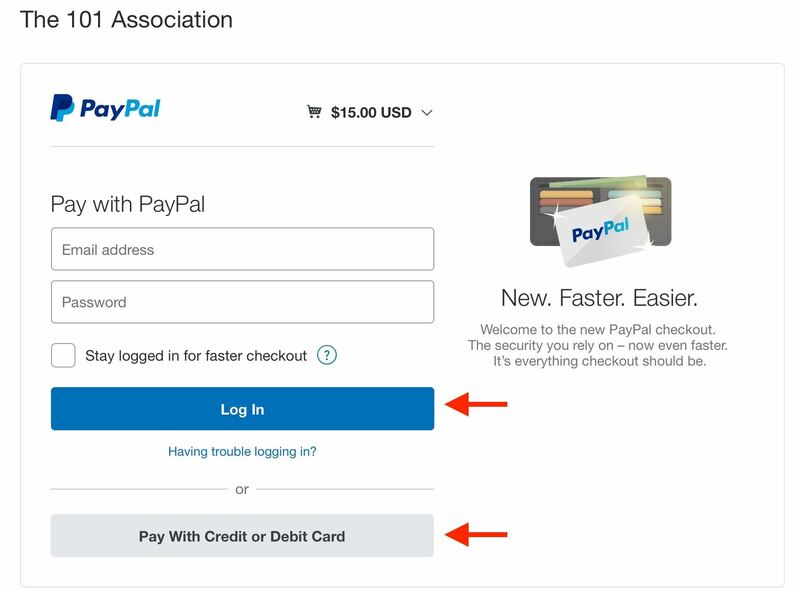 If you do not have a Paypal account click the 'Pay With Credit or Debit Card' button. This following screen is what you are presented with if you selected the 'Pay With Credit or Debit Card' button. 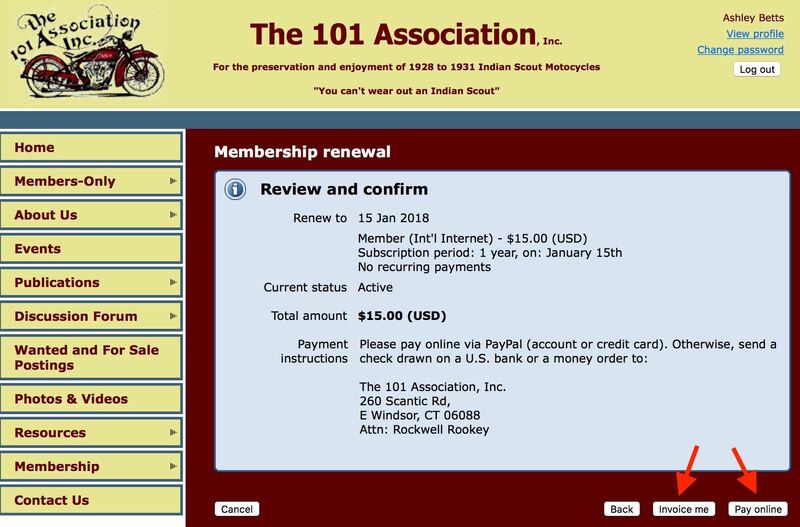 Enter you card details and other mandatory details to make the payment. Once you have finished your online payment process make sure you click the 'Return to Merchant' button. 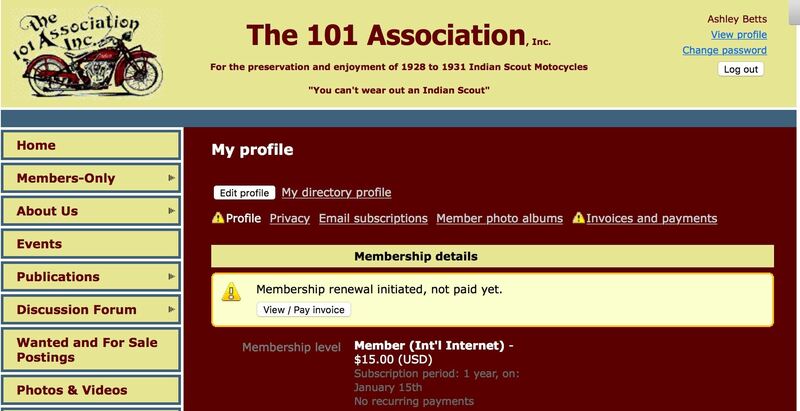 This will take you back to The 101 Association website and complete your online payment. 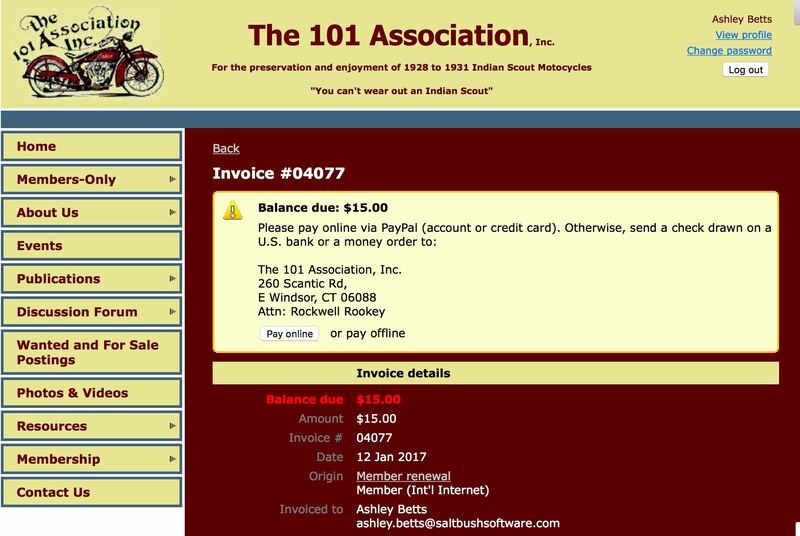 If you've clicked the invoice me button and wish to pay by cheque a invoice will be generated for you and you will be presented with a screen similar to the following. Click the View/Pay Invoice button and you will be presented with the invoice which will have the address that you need to send the cheque to.